When it comes to financing your next vehicle, the financing department at Belleville Toyota will work with you in order to make sure that you find the right financing option for your needs and budget. The financing experts at Belleville Toyota take the time to get to know you and your needs so that they can offer you the right financing option for your unique situation. 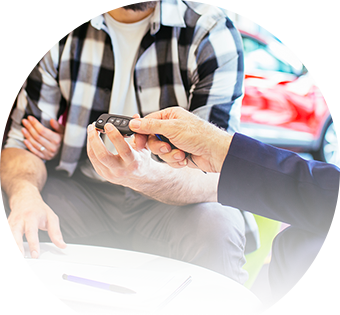 Whether you are in the market for a new vehicle or one of our many pre-owned vehicles, our team of financing experts can help find the right financing solution to get you into your new car. Our team of financing experts are always available to answer any questions that you might have and will make sure to show you how our flexible and affordable financing options can help you get into your next vehicle. We also have special offers on our financing options in order to make financing your next vehicle more affordable and extra care protection for your peace of mind. At Belleville Toyota, we've thought of it all. Visit Belleville Toyota today or call us and speak with one of our financing specialists about financing your next car.